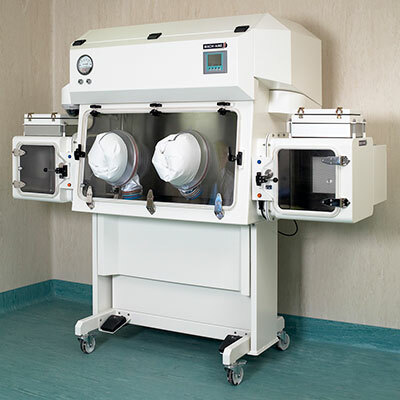 LAF Technologies is a leading specialist supplier of high quality PCR cabinets and related products throughout Australasia. 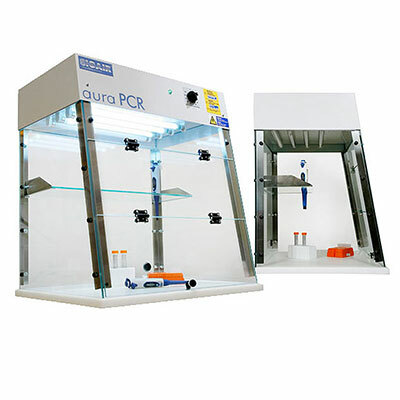 EuroClone Aura PCR cabinets complement our wide range of other controlled environment solutions. 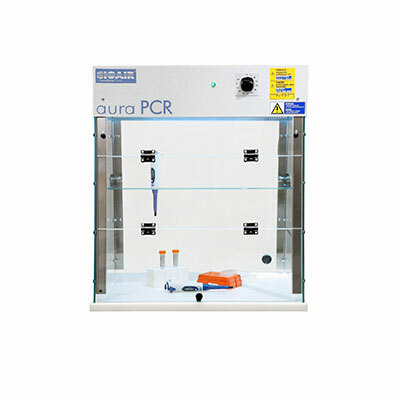 The Aura PCR comes with UV lights for DNA carry-over blocking. 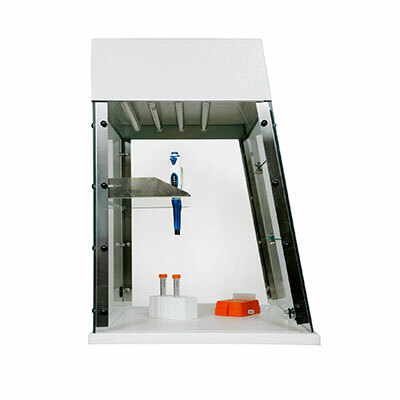 This cabinet is specially designed for the containment of DNA carry-over and subsequent neutralization. It prevents cross contamination coming from previously amplified DNA fragments. Amplification of DNA through the polymerase chain reaction (PCR) is a highly sensitive method capable of copying millions of DNA molecules from just a single molecule. Because of the extreme sensitivity of this method, any carry-over product from previous reactions can result in false positives or extra bands. 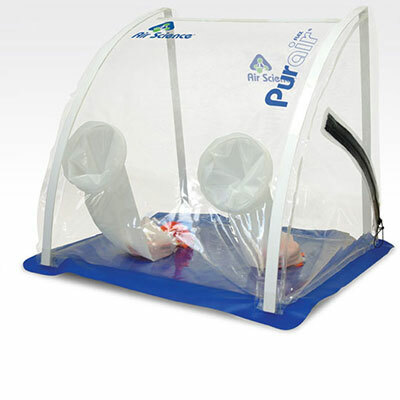 Carry-over contamination can be avoided by using appropriate protocols and equipment. Among them, exposure to UV light (300 to 400 nm) within an enclosed area is recommended. 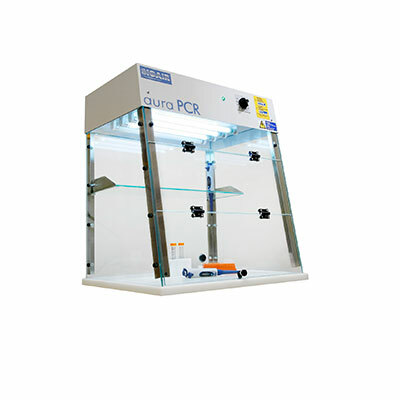 The Aura PCR is a very easy to operate cabinet specifically designed for this application. 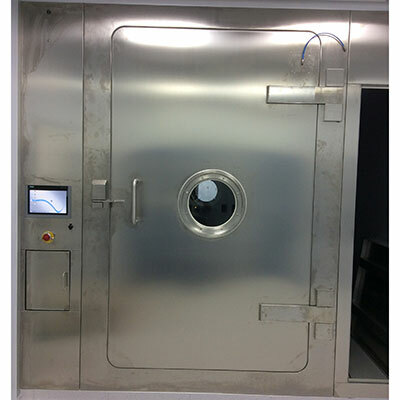 When the normal working procedures have been completed, the tempered glass front panel is closed and timer is activated in order to expose all internal surfaces and tools to UV radiation for a preset period of time. 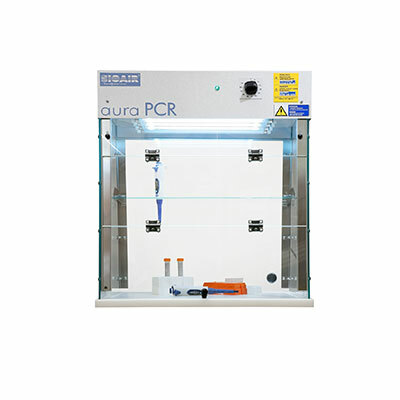 The 6 mm tempered glass body of the Aura PCR cabinet, acting as a filter to UV radiations, is safely protecting the external environment from dangerous exposure of personnel to those radiations. Once the preset count-down time is over, the UV is automatically switched off whereas the fluorescent lights are turned on. The operator can therefore resume his work. The front window opening is interlocked with the UV lights that are automatically turned off in case of unwanted opening for total operator safety. 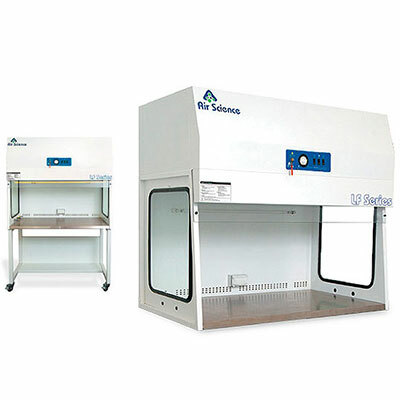 The Aura PCR cabinet fully complies with machine directive 89/392 EC (which includes the electromagnetic compatibility “EMC” according to 89/336 EC) as well as with safety requirements for electrical equipment for laboratory use (EN 61010-1).